The Frequency treatment indicator (FTI) enables us to control and evaluate the quantity of phyto sanitary products used in vine treatment. This indicator corresponds to the authorized amount per hectare. The FTI is used to follow the different evolutions and compare the practices around it. 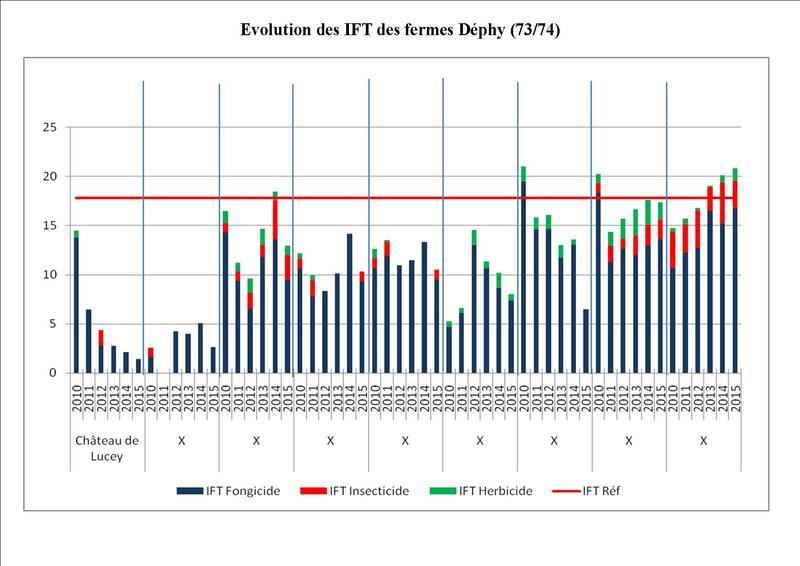 It is with the help of this indicator that the Dephy Farms, from the Ecophyto plan wish to find solutions to reduce the products used in agriculture. Many economic, technical and social parameters have been studied in order to find the most adapted and applicable solutions in other farms. 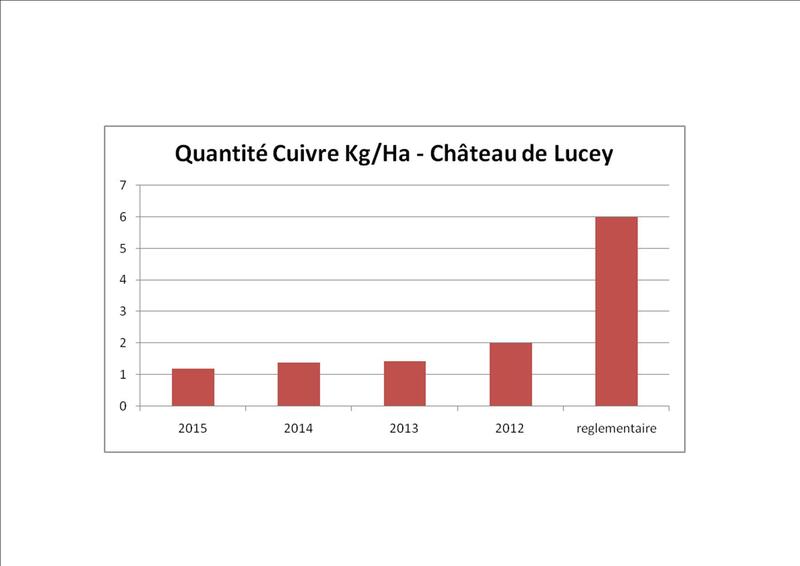 We have been a part of these farms since 2010, and we can therefore evaluate the processes put in place. The many products involving chemical synthetic molecules are dangerous for the environment and organic agriculture allows us to limit their impacts, by solely using natural molecules. The main molecule used in organic agriculture is copper. With it being a heavy metal and dangerous for micro-organisms, we mainly used it to treat mildew. The European legislation which monitors this type of agriculture, limits the use of copper in vine growing to 6kg/ha/year. This figure seems to get higher every year. According to the size of the farm, the dose of copper used can stay quite low with the help of efficient spraying tools, disease prevention and a good amount of reactive care.